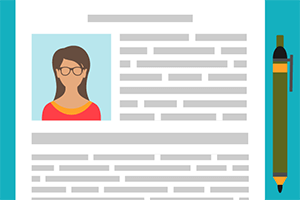 Delayed transfer of care performance data for October was published by NHS England last week. 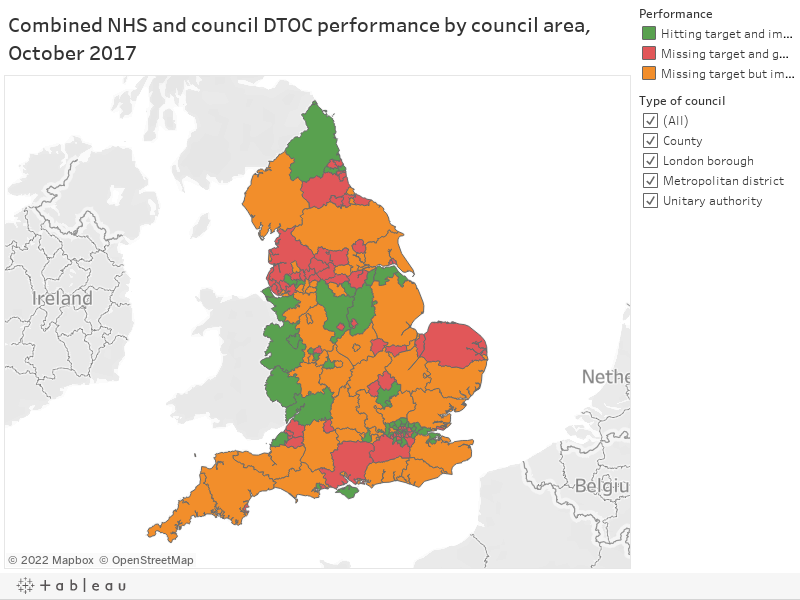 Using analysis of the data by Impower, Local Government Chronicle has mapped NHS and council performance against government’s target for the area (hover over each council area for full details). Despite a 5 per cent improvement in rates of delayed transfer of care attributable to social care in October compared to the previous month, analysis by Impower of NHS England’s delayed transfers figures for the month shows that when NHS and local government performance is taken together 103 of 151 council areas are still missing their targets. Areas that had a delayed transfers rate of 9.4 bed days per 100,000 of the population or above in February are required to hit the 9.4 rate, while those achieving a lower rate in February are required to maintain their performance at that level. Of the areas that missed their target in October, 54 saw an increase in their DTOC rate. However, the remainder improved their performance with more than a third less than two points off hitting their target. The remaining 48 areas have hit their target and continue to improve. Councils’ performance in reducing delayed transfers attributable to social care could influence next year’s allocation of the additional social care funding announced at the March budget. Performance in September will be used to determine the allocations in the provisional local government finance settlement. These allocations will then be updated in the final settlement to reflect performance in November, data on which will become available in January. The DTOC rates in this story were previously wrongly presented as those attributable to social care alone when in fact they relate to overall DTOC performance of NHS and local government in an area. The story was amended atb 12.30pm, 20 December to reflect the data.